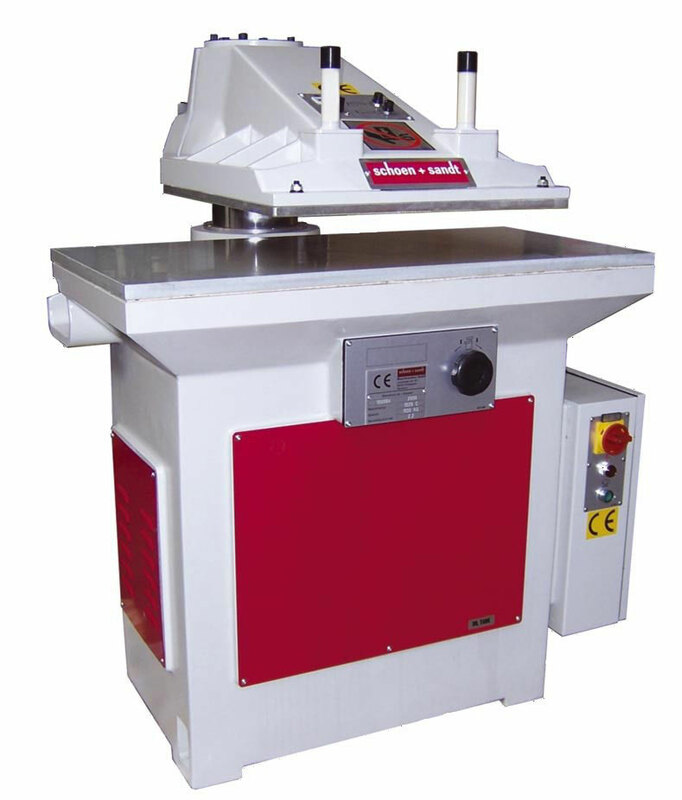 This machine type is operated according to a „sandwich“ system and is preferable suitable for cutting leather hides. A “sandwich” consisting of one lower plastic board, the leather hide, the cutting dies and one upper plastic board is transported through two synchronized steel rollers. Thereby the leather hide is cut continuously. Each steel roller is driven via one frequency-regulated gear motor. The passage between the steel rollers is adjustable by a motor in steps of 0,1 mm. Different “sandwich” heights can be chosen individually for each preparation table, The “sandwich” height of each preparation table is controlled via photo sensor on in- and outfeed side – this minimizes the wear of cutting dies and cutting boards and enables the use of different die heights for each preparation table as so as the exchange of individual cutting boards when they are worn out. 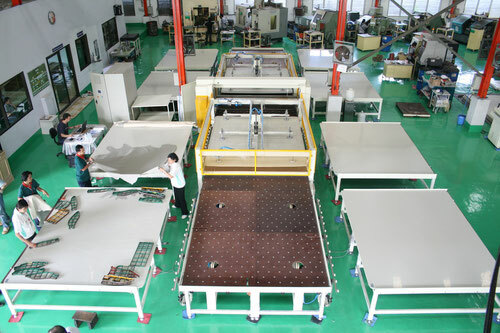 The machine can be extended up to 10 preparation tables. Working with several preparation tables avoids downtimes. By a Siemens S7 control, installed in a separate switch board and the intelligent software, the process run is optimal controlled and cycle time can be reduced up to 66 %. Programming and diagnostic at site can be done by an operation friendly and password-protected touch screen. The electrical and mechanical safety features are in accordance with the European Standards. The machine can be used with 2 or more preparation tables. Through working with more preparation tables an open loop will be avoided.